Alaska Airlines vs Southwest Airlines – What Airline Is Best To Fly To Hawaii? With the upcoming flights to Hawaii on Southwest, passengers are soon to be spoiled for choice. But there are still plenty of great options on the market to fly to Hawaii, and how will they compare to the new Southwest Airlines flights? Today we are going to compare Alaska Airlines with Southwest Airlines and see which airline offers the best way to the great island state. What planes do they fly? Let’s start by looking at the different planes that both Alaska and Southwest fly to Hawaii. Southwest Boeing 737-800 in the same configuration as the new Max 8. The first thing that you will notice is that Alaska has three different classes on board their 737, but Southwest only has economy. If you are flying First Class, there might be better options (Like the lie-flat seats in Hawaiian). Regarding the Southwest economy seat, however, provides a little more room compared to Alaska, but at the cost of the armrest. The armrest is much thinner and raw metal with no padding. The real winner might be how quiet the new 737 Max 8 is. At 40% quieter than the Alaska equivalent, it might be a deal breaker for those looking for a more relaxed experience. But watch out, less engine noise means more cabin noise from your fellow passengers. As these two planes are so close to one another (barring the different classes on Alaska) let’s discuss what a normal economy ticket gets you. Entertainment: Southwest has announced that all entertainment on their flights to and from Hawaii will be free. This is a boon for travelers as it means they won’t be bored or have to fork out extra cash for the six-hour flight. Southwest also offers live TV. Both airlines you must bring your own device and connect to onboard wifi service. 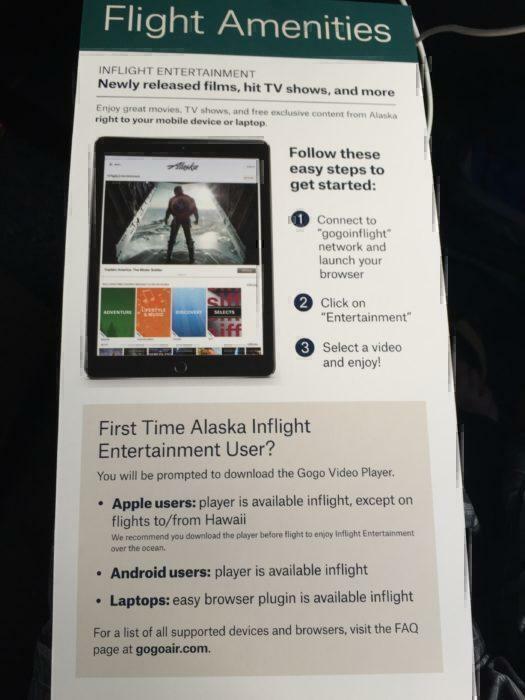 Alaska offers a free selection of movies and entertainment, but the app (especially for Apple devices) must be downloaded before the plane takes off. Although on flights to Hawaii passengers can rent a tablet. Food: Southwest offers customers complimentary non-alcoholic beverages on board and a pack of pretzels. However, this won’t quite cut it for the 6 hour trip to Hawaii. They will most likely be introducing a food option but it is unknown if it will also be complimentary. Alaska Airlines offers a full menu of food, snacks, and drinks available for purchase. They also have complimentary soft drinks, coffee and more. You need to order the bigger meals ahead of time before you board. Wifi: Alaska does have wifi, but not to Hawaii yet. It is unknown if Southwest will be offering wifi to Hawaii. 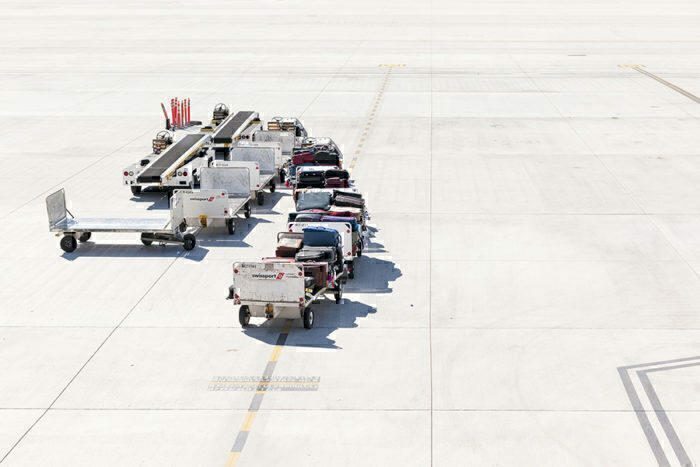 Baggage: This might be the real killer. Southwest you get two free checked bags, then a third is $75. Alaska you only get a free carry on, then its $30 USD for the first checked bag, $40 for the second and $100 for each after that. Overall I personally think that the soft product is very much the same between the two airlines. They both offer free drinks and free movies, but baggage might make southwest far more attractive. The bottom line – which is better? It’s actually rather tricky to choose between these two, which makes it rather easier to simply book based on price. But the fact that southwest offers what is essentially free baggage, and a quieter newer plane, I would be tempted to recommend them over Alaska. What do you think? Who is the best to fly with? Alaska has power ports at every seat. Southwest does not. Huge difference if you’re going to use your computer or tablet for 6 hours. If your tablet won’t run six hours, get a new one! I fly both airlines 4 to 5 times a year. Alaska by far the best, all catagories, except baggage. You may not be able to sit with your family on southwest. They don’t have assigned seats. No food for the kids? That doesn’t sound good either. “Here Billy, have a bag of pretzels and a coke. We’ll have lunch in Lahue in about 7 hours.” Sorry not my idea of a good start on a trip to Hawaii. The MAX is not much quieter inside the cabin. The noise inside the cabin at cruise is slipstream noise from the airflow around the fuselage, not necessarily from the engines. As for baggage, I find Southwest fares to be marked up to the point that they are on par with Alaska’s even with a checked bag. I no longer find that Southwest is the least expensive option. The bundled product Southwest offers is, arguably, easier to use. I have the credit card so I get one piece to check in at no charge on Alaska. Southwest is good. But for longer flights, I prefer Alaska. I heard Southwest would be providing inter-island flights, but I don’t see any mention of it in this, or a more recent article. Maybe it’s just for continuing flights. Anyone have information on this option? Alaska also offers flights to HNL from ANC, PDX, LAX, SEA and SFO not shown in your original list.